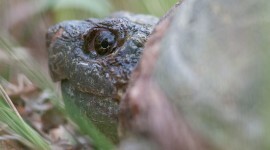 A snapping turtle rests among the grasses of Doughnut Island. 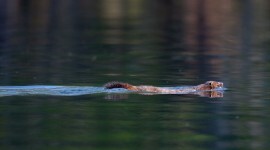 A mink displays its curious ability to keep its top half dry while swimming near Doughnut Island. 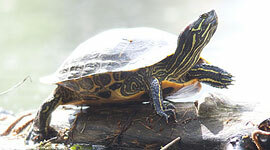 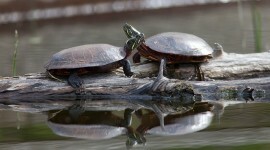 A heavily backlit red-eared slider glows on a log near Hanlan’s Point. 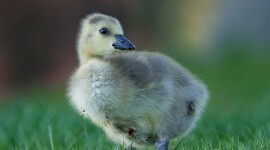 A rapidly growing Canada goose gosling poses on the cropped grasses of Centre Island. 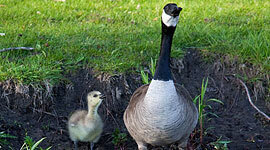 A Canada goose gosling emulates its parent, learning how to feed and drink from the lagoon edge on Centre Island. 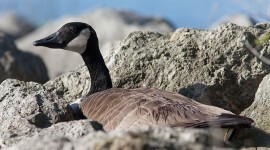 A Canada goose nests in a safe, yet seemingly uncomfortable, location on a rocky breakwater off of Olympic Island. 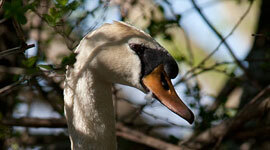 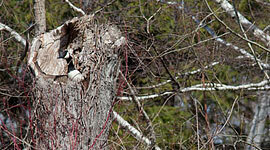 A mute swan sits on her nest, deep in the shadows of of Snug Harbour. 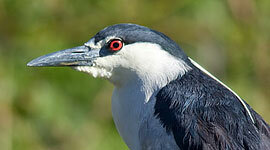 In town for the season, this black-crowned night heron has probably left the stifling heat of a Florida summer just in time for things to finally warm up here in Toronto.